For many laptop manufacturers, a new year inevitably brings a renewed devotion to gaming. 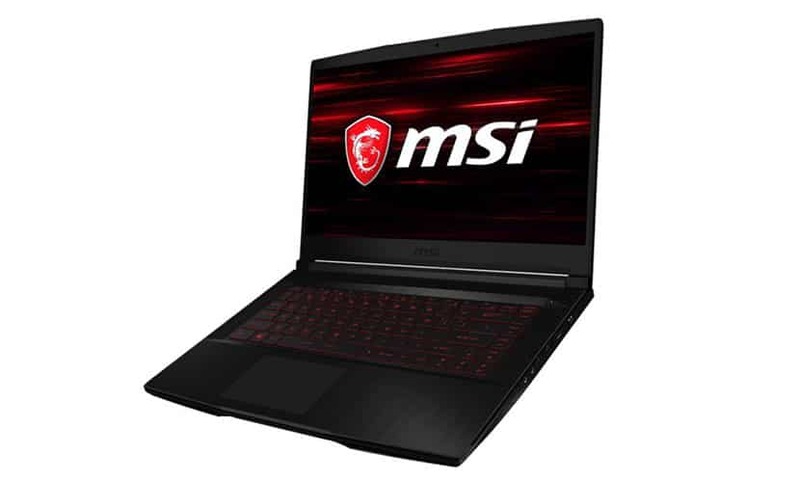 In light of the rising demand for compact gaming computers, MSI has announced the all-new 15.6” GF63 Thin laptop with a narrow-bezel design, to be available later this April in four models with varying processing configurations—8SC-030, 8SC-029, 9SC-068, and 9SC-066. The latest launch is equipped with the mesmerizing NVIDIA GTX graphics co-processor that comfortably supports most top-rung gaming titles. The device also boasts of a ninth-generation processor to boost the overall speeds and efficiencies you can expect from your gameplay. The announcement has stirred up considerable excitement among gamers who are perpetually on the lookout for a performer that doesn’t need them to rob a bank. Indeed, the most recent launch is priced very attractively, starting at only a tad above $800. Powering up this laptop is an Intel Core i5 or i7 processor, supported by up to 64GB RAM and an up to 512GB high-speed SSD. While the 8SC-030 and the 9SC-068 models offer an Intel i5 CPU (i5-8300H and i5-9300h respectively) with 256GB of storage space, the 8SC-029 and the 9SC-066 up the ante with an Intel i7 (i7-8750H and i7-9750H respectively) and 512GB of storage. The GF63 Thin laptop offers an FHD display with an NTSC color gamut of 45% and a full screen resolution of 1920 x 1080 for optimal viewing experiences. This is a monitor perfectly suited to complement the NVIDIA GeForce GTX 1650 graphics (with 4GB of dedicated memory). The thin-bezel design helps to add a neat dash of realism to the proceedings, limiting external interference and allowing a gamer to dive into the world of virtual reality. Plus, the screen is fitted with an IPS panel to guarantee distortion-free viewing across various positions and angles. The aspect ratio is a smooth 16:9. On the flipside, this laptop has a less-than-optimal refresh rate of 60Hz. While this will be ample for many popular games, some discerning users might be left wanting when playing shooter games or content with rapid movement at high frame rates. At first sight, the latest launch seems quite competent at facilitating a connected, collaborative experience. Four USB 3.0 ports permit you to plug into peripherals like gaming controllers or external displays. For a 15.6” laptop, the chassis meets the standard weight criteria—about 8.42lbs. Clearly, this is not lightweight enough to lug along on outdoor marathons, but the slim profile (measuring 0.8”) ensures you can transport it in backpacks when the need arises. The GF63 Thin has hit a sweet spot between an expensive full-purpose gaming laptop and an affordable, performance-oriented piece that doesn’t flinch when worked hard on the arena. It combines adequate CPU muscle with meticulous graphics, managing to keep the price point low by pruning some fancy features you can find in pricier contemporaries. We daresay, it seems to be a winning combination.